Im Sommer 2018 wurden mit 2:01:39 h im Marathon der Männer sowie mit 7:52:39 h beim Ironman (Triathlon) auf Hawaii spektakuläre (Welt‑)Rekorde aufgestellt. Diese erfordern außergewöhnliche aerobe Ausdauerfähigkeit, die nur durch gezieltes Training mit erhöhtem Ventilationsbedarf erreicht werden kann. Für ein effektives Training im Hochleistungssport ist eine regelmäßige Leistungsdiagnostik (Laktatdiagnostik, ggf. Spiroergometrie) mit sportwissenschaftlicher Betreuung unerlässlich. Kehrseite der Ausdauersportarten mit hohem Ventilationsbedarf ist ein mehrfach erhöhtes Risiko zur Entwicklung einer anstrengungsinduzierten obstruktiven Ventilationsstörung, oft im Sinne einer „exercise-induced bronchoconstriction“ (EIB; exspiratorische obstruktive Ventilationsstörung nach definierter Belastung), aber auch als „exercise-induced asthma“ (EIA; Atemnot, Husten, Giemen mit thorakaler Enge). 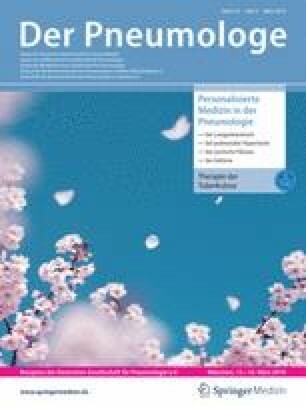 Dieser Überempfindlichkeit der Atemwege liegt eine chronische Entzündungsreaktion zugrunde, bei früher Manifestation oft mit eosinophil-allergischem („early onset phenotype“), bei später Manifestation (Hochleistungssport) meist mit neutrophil-eosinophil irritativem („late onset phenotype“) Muster. Eine fundierte Anamnese mit Lungenfunktion und gezielter Provokation (Belastungstest/bronchiale Provokation) sind für die Differenzialdiagnose belastungsinduzierter Atemwegsobstruktionen essenziell. Differenzialdiagnosen sind laryngeale Dysfunktion („exercise-induced laryngeal obstruction“, EILO) bei inspiratorischem Stridor, verminderte Fitness sowie Übertraining, v. a. bei fehlendem Ansprechen der Inhalationstherapie. Frühzeitiger Einsatz inhalativer Steroide ist Therapie der ersten Wahl sowie bedarfsweise Anwendung inhalativer β2-Mimetika unter Berücksichtigung der Antidopingregeln bei Wettkampfathleten. In the summer of 2018, spectacular world records were set in the men’s marathon with 2:01:39 h and in the men’s ironman in Hawaii with 7:52:39 h. Such performances require extraordinary endurance capabilities that can only be achieved through target-oriented training with increased ventilatory demand. For effective training in elite sports, regular performance diagnostics (blood lactate concentration, spiroergometry) and support from sports scientists are essential. The downside of endurance sports with a high ventilatory demand is the several-times increased risk of developing an exercise-induced obstructive ventilatory disorder, frequently exercise-induced bronchoconstriction (EIB; expiratory obstructive reaction following a standardized exercise test) but also exercise-induced asthma (EIA; breathlessness, cough, wheezing, and chest tightness). This oversensitivity of the airways is the result of a chronic inflammatory reaction. Athletes with early symptom manifestation usually show an eosinophilic allergic pattern (early-onset phenotype), those with late manifestation (elite sports) a mixed granulocytic irritative pattern (neutrophilic/eosinophilic; late-onset phenotype). Diagnosis of EIA/EIB is based on a typical anamnesis in combination with lung function and targeted provocation testing (i. e., exercise or direct stimuli such as methacholine). Differential diagnoses are exercise-induced laryngeal obstruction (EILO) as well as poor physical fitness or overtraining, particularly in the absence of a response to inhalation therapy. Early use of inhaled corticosteroids is first-choice therapy, with as-required inhaled β2-agonists for immediate inhibition of bronchoconstriction under consideration of anti-doping regulations in competitive athletes. S. Sorichter gibt an, dass kein Interessenkonflikt besteht.